National Road N1, P O Box 144, Rawsonville, 6841. When visiting Cape Town one cannot fail to be amazed at the beauty surrounding you. In the west you have the Table Mountain range of mountains that form the backbone of the Cape Peninsula. To the east you have the Hottentots Holland Mountain range which extends all the way from False Bay in the south to Ceres and beyond in the north, This mountain range consists of some of the most beautiful valleys, rivers and mountain peaks you could imagine. The Hottentots Holland mountain range is crossed in various places by mountain passes. 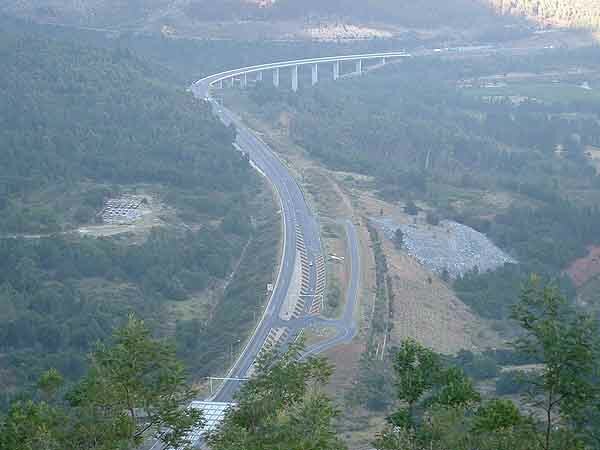 The N1 has been rerouted through the Huguenot Tunnel and cuts off about 18 kilometres of travel for those in a hurry. The drive over the pass took a little longer than normal as unbeknown to me there were roadworks being undertaken in the pass. Over the years not much maintenance has been done on the roads and in certain areas the road is badly in need of repair. 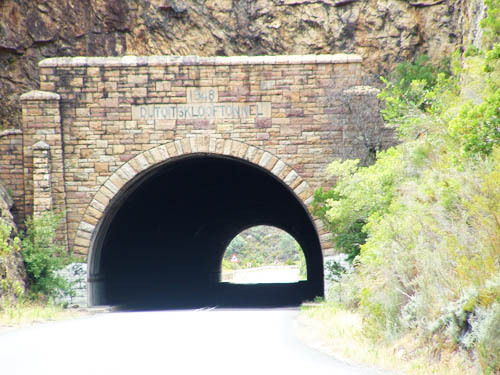 Authorities have been very shortsighted in not maintaining this lovely road and this was brought to their attention in no uncertain terms last week when an accident and fire occurred in the tunnel blocking it for several hours. The condition of the road with its many one lane deviations caused further delays as all traffic wanting to use the pass had to contend with the stop and go traffic controls on the road. Du Toit's Kloof Pass winds its way up the side of the mountain overlooking the Paarl valley and on the day I was able to see far more of the beautiful valley than normal due to the stop go traffic controls. What is interesting is that all the hills and valleys to the west of the pass run north to south for as far as the eye can see. It is obvious that when the land was forming it was crushed against another land mass which caused it to ripple leaving us with the beautiful scenery we have today. 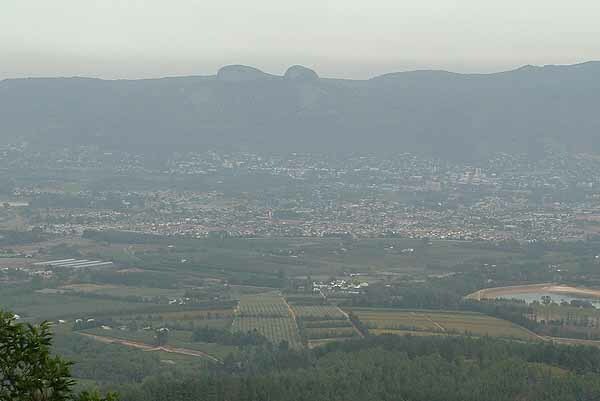 The first ripple we can see when looking down from the pass is Paarl Rock which forms the western boundary of the Paarl valley. The valley in between is beautifully green and has the Berg River flowing through it. On either side of the river is the town of Paarl with its beautiful oak trees and vineyards. The pass is made even more spectacular by its high mountain peaks and sheer cliff faces that hang over you as you climb to the top of the pass. The mountainside is covered with fynbos and although we have drought conditions in the Cape at the moment everything is lovely and green. Once we reach the top of the pass the road winds its way down the Worcestor side of the mountain through some beautiful valleys with some spectacular views. Not many people realise that there are two tunnels in this section of the mountain. The first and oldest is the du Toit's Kloof tunnel which one drives through shortly before meeting up with the N1 after it exits the Huguenot tunnel. The other tunnel is the Huguenot tunnel which enters the mountain above Paarl, runs through the mountain and exits the mountain near the trout farm on the Worcester side of the mountain. Once back on the N1 highway we enter the most spectacular part of the drive to Worcestor. The highway winds its way along a narrow valley with high peaks and cliff faces on either side of it while next to the road runs the Molenaars river. In the winter months there are hundreds of little waterfalls to be seen dropping down the mountainside into the river. It is in this spectacular valley that a trout estate has been built. For those who love trout fishing there are a number of ways you can do it. 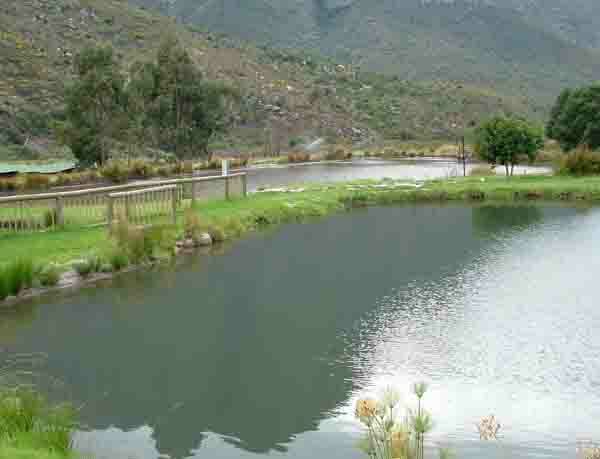 The easy way is of course to bait up and fish in the trout dams which can be seen from the N1. In them your success is guaranteed as the dams are teeming with fish. Want to try your hand in the dams? Then there are the Molenaars, Elandsjacht and Smalblaar rivers which make for better action as you have to go after wild trout which are more cunning than those in the dams. The rivers are reported to have plenty of fish in them and your chances of catching them are quite good. After passing through this beautiful mountainous valley the land opens up into the Breede River valley which is flat and surrounded by mountains on all sides. In the centre of this wide open plain is the inland town of Worcester which has become well known for its wines. This part of the Cape is exceptionally beautiful and interesting. I recommend that next time you visit it you stop and explore some of the places I have mentioned.